At Owl Inn we have everything you need for a relaxing stay in Siem Reap. 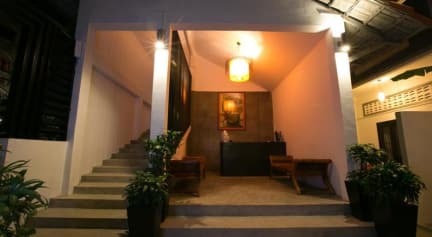 Owl Inn is conveniently located in the heart of Siem Reap near Angkor Night Market, but away from the noise of Pub Street. The rooms are spacious, clean and comfortable. We also offer tour and travel services, and free airport pickup. 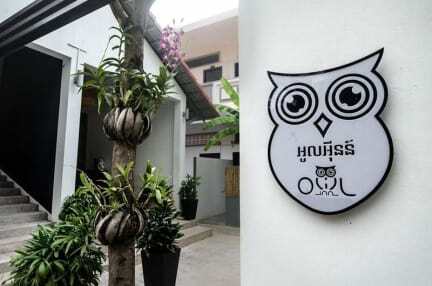 Owl Inn is located within easy walking distance of Angkor Night Market, Pub Street and the Old Market. It’s a 20-minute drive from Siem Reap International Airport. It’s also a 20-minute drive to the temples of Angkor Wat, or Tonle Sap Lake and the Floating Village. 1. Check in from 13:00. 2. Check out until 11:00. 3. Both cash and credit card (Visa, Master) are accepted upon arrival. (1) Any cancellation received within 7 days prior to arrival date will incur the first night charge. (2) Any cancellation received within 3 days prior to arrival date will incur the full period charge. (3) Failure to arrive at your hotel will be treated as a No-Show and no refund will be given. (2) Children 0-11 year(s) stay for free if using existing bedding. (3) Extra beds are not available.